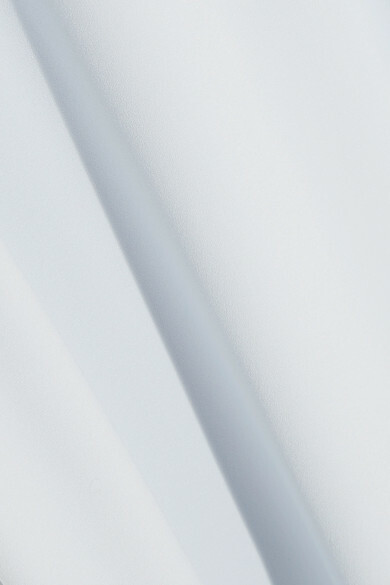 Since launching in the '60s, everyone from Elizabeth Taylor to Bianca Jagger has loved Halston Heritage's designs. 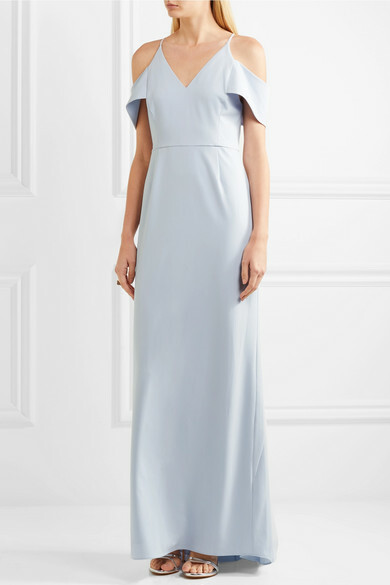 This ice-blue gown is cut from fluid crepe that skims smoothly over the figure and has draped cold-shoulder sleeves that flatter and frame your arms. 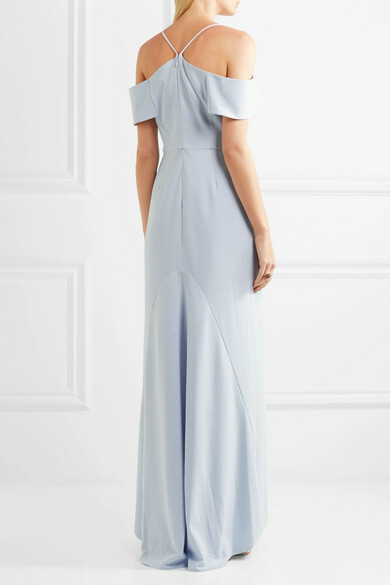 We think it's such a pretty choice for bridesmaids. Shown here with: M2Malletier Shoulder bag, Stuart Weitzman Sandals, Alexander McQueen Ring.